The most traditional way to wear a silk scarf is to wear it around your neck, of course. Add a playful touch to your outfit with some colour and prints, or stick to a more classic style where the colours form a harmonious whole. 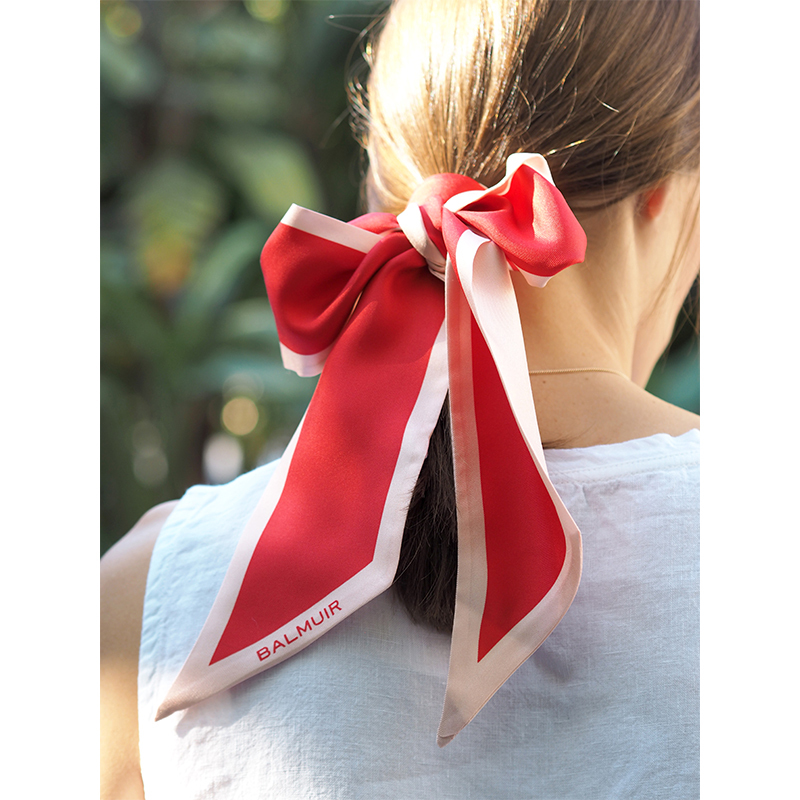 Bad hairdays are left in history when you wrap the Forli silk scarf around a ponytail or a bun for an effortless and chic finish. For a more romantic look, tie the scarf into a bow. For a more advanced hairdo, you can also braid the scarf into your hair. Switch up your hairdo with a makeshift headband. 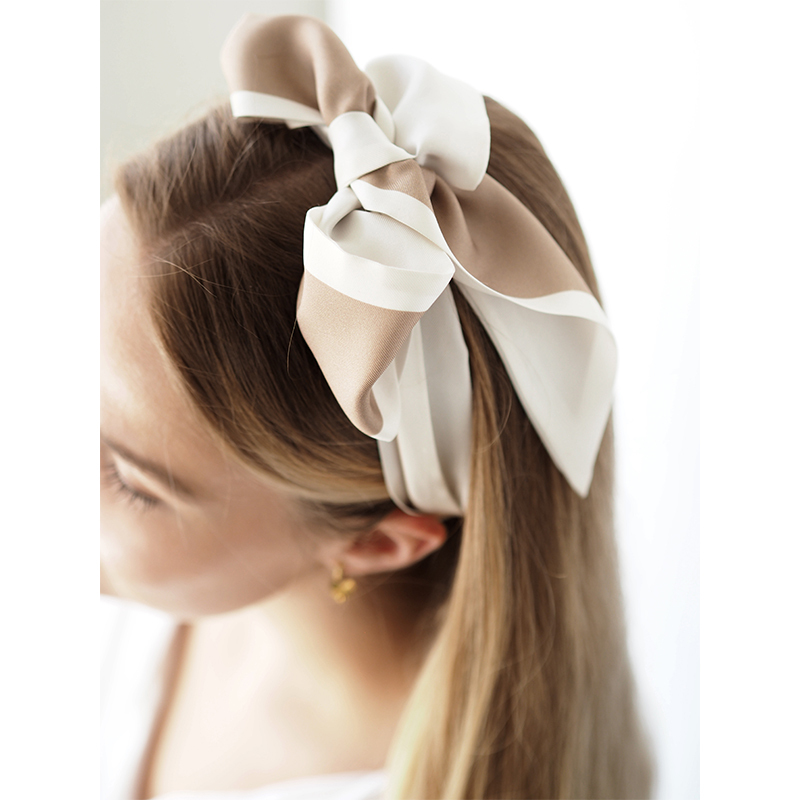 A silk scarf can be easily transformed into a headband! This tip is also perfect for those with short hair. For hot summer days, a stylish turban comes in handy as it also protects your head from the sun. 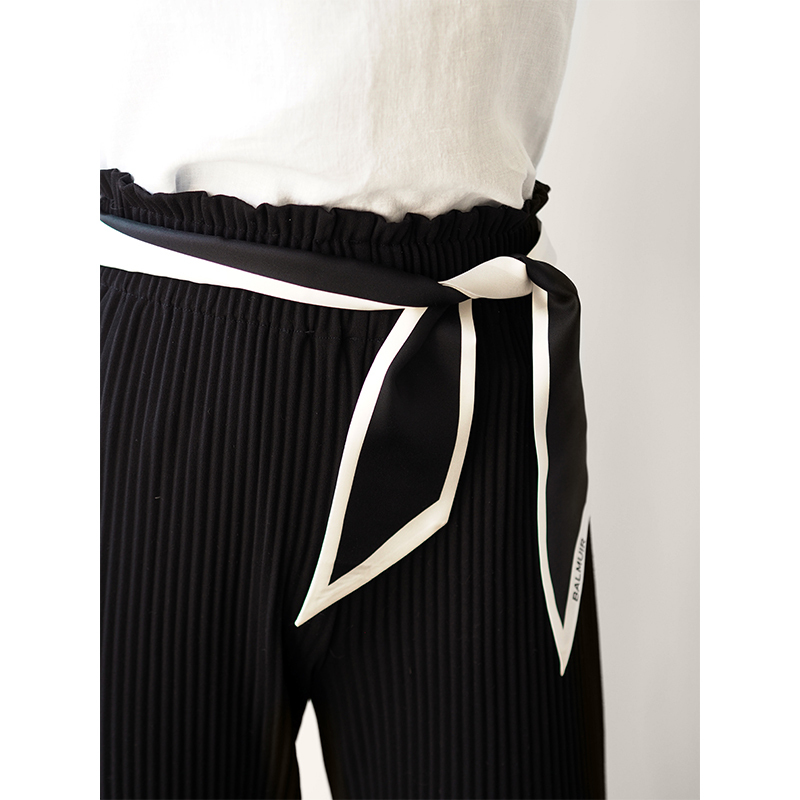 Use the silk scarf as a belt or accessorise a loose shirt or a tunic with silk by wrapping the scarf around your waist. We all have that one bag that we love to carry with us most days of the week. 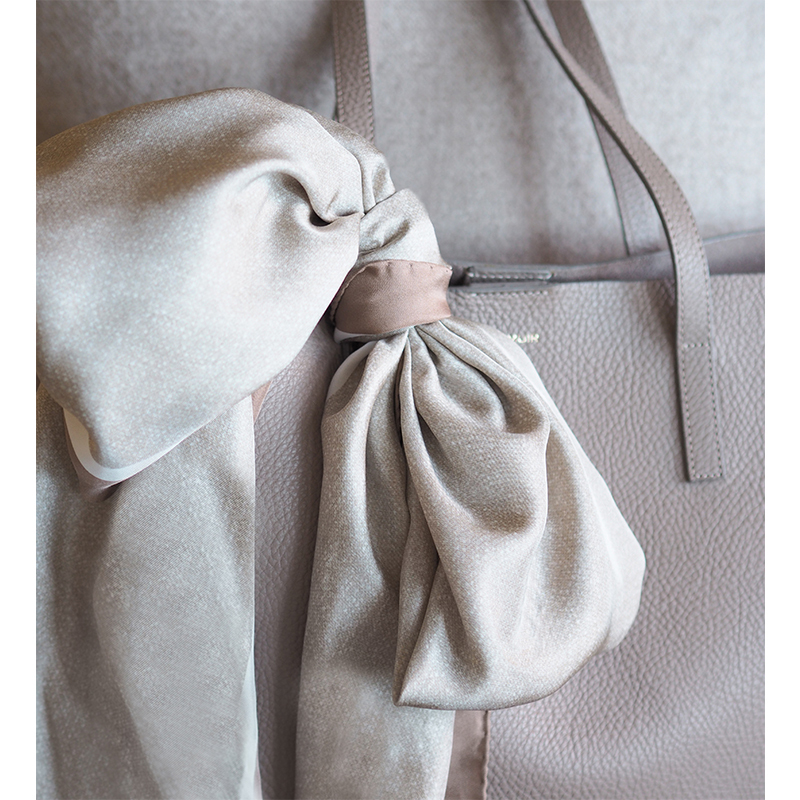 However, by wrapping a silk scarf around the handle of your bag you can easily switch up the look and never get bored. Style your bag with a new scarf for each new season. 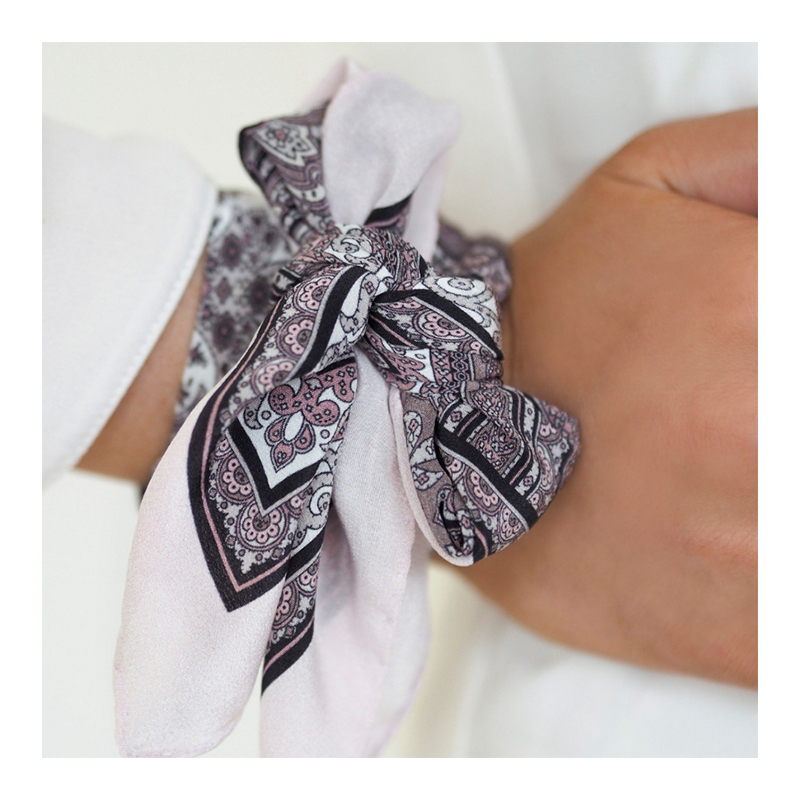 Think outside the box and switch up your bracelet with a silk scarf! 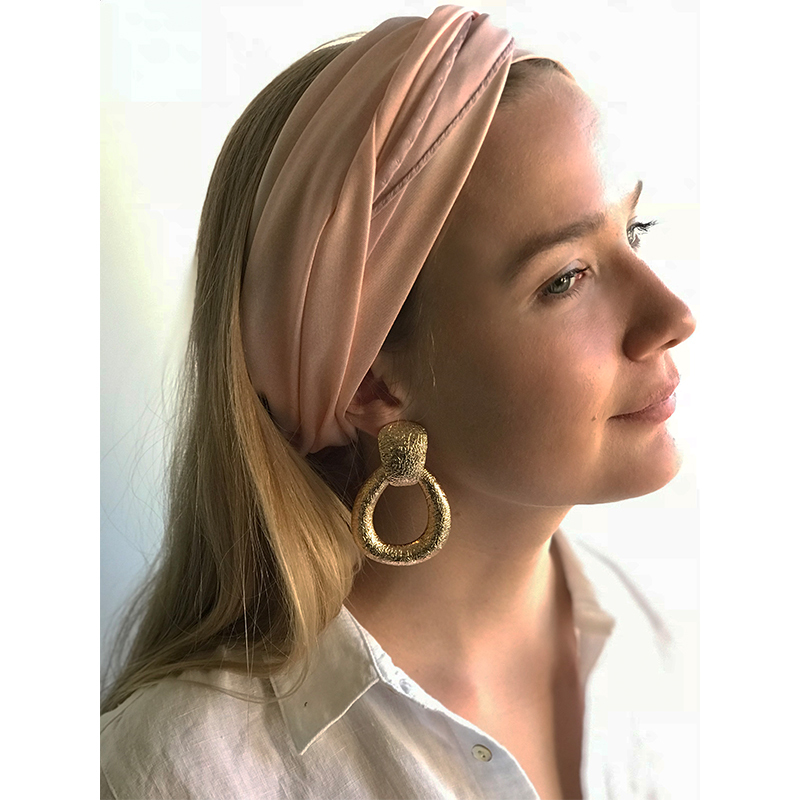 The perk of wearing a silk scarf around your wrist instead is that it won’t get caught in your delicate clothes made of fine natural materials. Pack a silk scarf with you for a perfect day in the sun. A silk scarf is a stylish accessory during the day and during the night you can wrap it around you to keep warm in the coldening summer night. The best part is that the scarf fits into a small space and is easy to carry with.